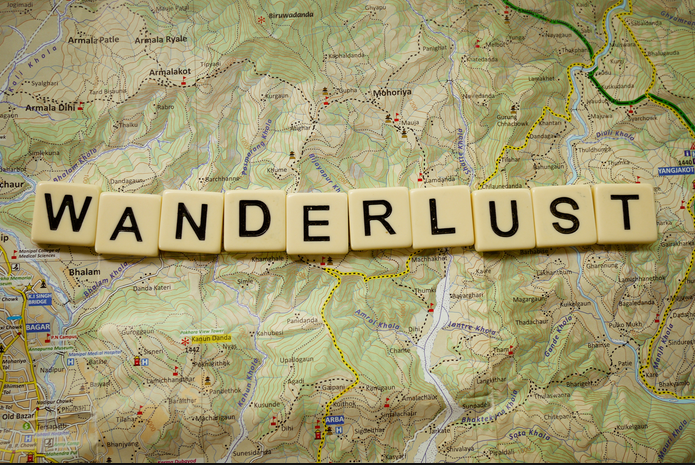 It all started with an insatiable wanderlust. And a girl who wanted to go along for the ride. We have traveled to dozens of countries together. We’ve lived in seven cities in five states. We’ve moved 26 times in our 20 years together. And it’s time to come home for a while. Every adventurer has a home base. And for us, that home base has always been Salem, Oregon. If you’ve seen it, you know it’s the perfect place, sandwiched between the Cascade Mountains and the Coast Range, full of rivers and lakes and trails. A perfect place for an adventurer to keep his or her legs fit and eyes ever looking towards the next vista. The thing about adventure is that you don’t ever really know what’s coming up around the next bend or over the next wave. It’s the surprise that makes adventuring so much fun. It sums up, rather nicely for me, my life in a nutshell. I’ve tried to look at those surprises around each bend as an adventure rightly considered, no matter how inconvenient they are. But sometimes the inconveniences pile up rather thickly, and you realize that the pass over the mountains is no longer the right pathway for you, so you head back toward the river or through the mines of Moria or wherever you came from until you find the right path. For me, adventure was far more likely choosing the path of journalism. It was a daily exercise in seeing inconveniences in the right light and turning them into wonderful little stories for a community to chew on. But the profession has become complex and laden with the anxiety of surviving the digital revolution. In some ways, this has increased the level of adventure, but it has decreased the romantic notion of what being a journalist once meant. When we left Alaska to go and work in Chicago, it was to experience the dichotomy of the big city, an experience that had so far eluded us. To go and work with the likes of Torey Malatia and a team of storytellers and creative geniuses like Justin Kaufmann was too great an opportunity to pass up. We built things and created new concepts in digital storytelling. We pioneered and invented and had all sorts of adventures under the wise leadership of people like my boss Wendy Turner. I learned more about Chicago politics than I might have wanted, and my sports heartstrings were tugged at a little by the woeful Cubs and the Chicago Blackhawks, who we watched win two Stanley Cups in our three years there. But Torey resigned in 2012, and the winds of change caught us up like fallen leaves. Management changed too, the ship, which we had navigated for a while was given a new course, and over time, we knew the fit was no longer right for us. As adventurous as I can make our lives look on social media, it is not without measurable costs. Moving a lot takes a toll on kids and spouses. Layoffs, unexpected course changes, the rapidly changing landscape of the media world, it’s a heavy price that seems good at first for the exchange rate. There is the also the cost of starting all over from scratch. Of building new friendships and navigating new seas. Things that come naturally to me can build up as resentment and frustration in others. There is an added cost in being away from home for a long time. People get older, and, with age, comes the inevitability of ravages of time. When this summer drew near, I realized we needed to take a leave of absence to spend some time with some ailing family members and to, perhaps, gain a little healing that comes with the familiarity of home and loved ones for ourselves. That is what we have been doing for the last two months. And out of respect for the privacy of others, I haven’t been able to share much about that arrangement. Here at the end of that, we have decided to stay for a while longer. Our hearts have long been in the West. Not to diminish the Midwest, the Great White North, the East or the South. Each of those places are home to many people who feel the same way about them as we do about the West. As of today, I no longer work for the best public radio station in the country, which carries its own weight for me. There are people I have spent the last three years of my life with who have completely changed the way I see the world around me. There are our neighbors and friends that we leave behind, again. People for whom we probably breeze in too fast before we blow out again. To all of you who were part of our life in Chicago, thank you. Today, the road is wide open again. Moving, finding a new job, making new friends, these are inconveniences, which translate to adventures for us. Your journey resonates with me. Though unlike you I am only a 1st generation gypsy. I found my return home necessary about 3 years ago and I staggered back to my hometown like a war-torn refugee with three kids in tow to began scratching out a new life so far outside the “MY LIFE” box I’d built in my 20’s that I kind of feel like I’ve been reincarnated without first dying. Hopefully you can manage the transition with a little more grace than I. Good to hear from you. I’m not sure I’ve ever done anything graceful in my life. I tend to learn things the hard way, which just seems to work. I’m hoping that leads to character building, which I’m sorely in need of. Transitions home are never easy, especially after building an empire somewhere else. But for me, this was the first time I’ve ever felt homesick, and I think that’s good. We’ll see how long that feeling sticks around. 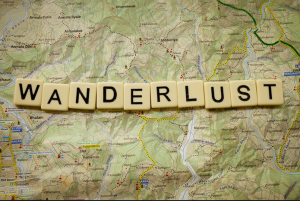 The wanderlust seems to haunt me. Very well written, Tim. Blessings on your whole family. We can relate to every word having come back home after 6+ years in China to be near aging parents. We know the adventure of starting again in every way. May your move go as smoothly and easily as possible and best of luck and prayers for your new adventure! Thanks, my friend. Please look us up next time you’re in town. A friend gifted me with a decorative pillow when our family made the move from McMinnville to Canby. It pictures a little bird looking up at a birdhouse and reads: “Home is where you make it.” My best to you and your family, Tim! Welcome back home — and stay in touch! Thank you, Professor Maier. I will stay in touch.